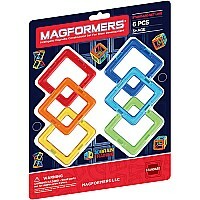 Magformers starter set, designed with girls in mind. 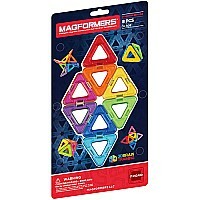 Girls can begin to explore magnetic construction with MAGFORMERS® squares and triangles. 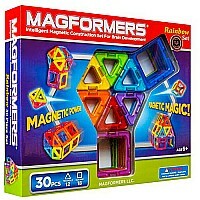 The open nature of our pieces let small fingers easily begin to build cubes, towers, and magic balls. Fitting perfectly with STEM, kids can lay ideas flat and pull-up into 3D towers.